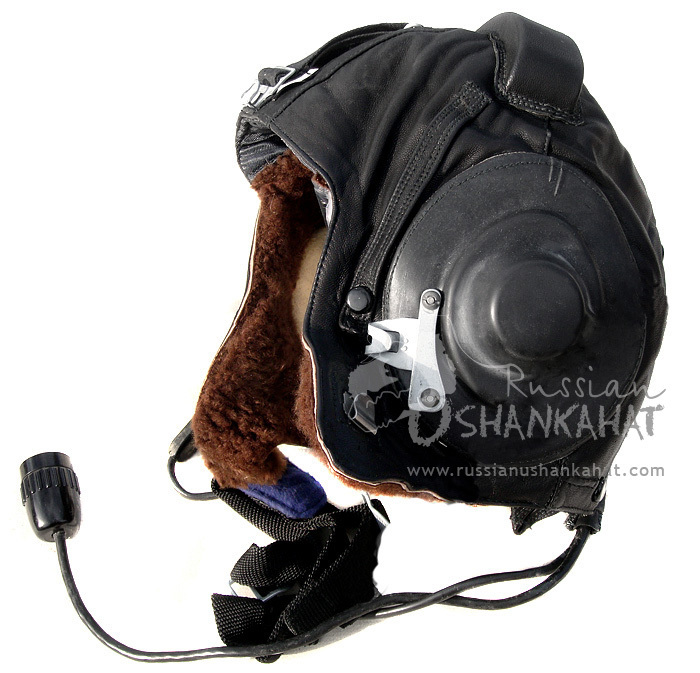 Genuine Soviet pilot flight helmet. New, unused military surplus. Made in 1982-1989. Natural leather and fur inside. Built in earphones. you will also receive new sealed throat microphone ("laringofon") and original document for the helmet. Pictured is winter version (with dog fur). Currently we have only summer version in stock (without fur).